Half Bucket Rubber Infant Swing Seat domestic with safety chain on front with a pair of Adjustable Ropes. 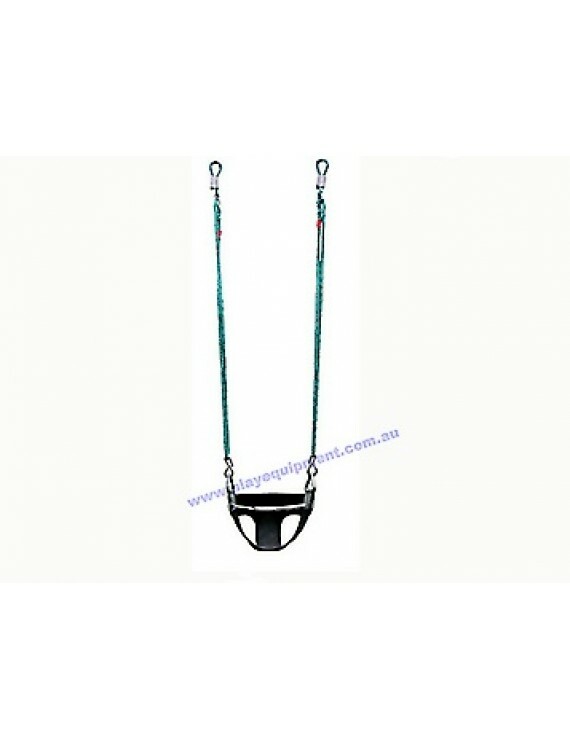 Uses Domestic half bucket rubber infant seat with safety chain on front with Adjustable Ropes that extend from approx. 1.0m to 1.8m in length.